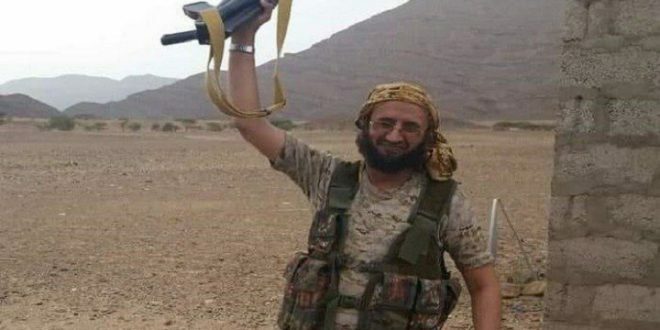 The so-called al-Qaeda commander, Ghaleb al-Zaidi, lost his life in Maribon Saturday with dozens of Saudi-paid militias in the ranks of the Saudi-led coalition and “al-Qaeda” fighting side by side during their failed attack in Marib. The Ministry of Defense confirmed the death and injury of dozens of Saudi-paid militias and al-Qaeda, including the al-Qaeda chief commander called Ghalib Zaidi during a foiled attack in the district of Sarawah in Marib governorate. The ministry noted that the rest of the Saudi-ISIS militants stampeded, leaving the bodies of their dead comrades on the field in Serwah, including the body of Ghaleb Zaidi, saying that Ghaleb Zaidi is one of the leaders who run “al-Qaeda” in Yemen and was involved in dozens of criminal operations. A few days ago the Associated Press published a report containing documents which prove that the Saudi-led coalition deals and works with the so-called al-Qaeda against the Yemeni Army and Ansarullah.